"SFS has been an invaluable tool for front recruitment with being able to place unlimited Job Alerts, check staff Ratings along with the updates of business Tenders, which have proven to be a great success. I would definitely recommend using SFS! Michelle Chambers, Area Manager for Front Staffing. Jess Grattan Williams: Goal Academy"
"We believe SFS to be an invaluable recruitment source for our business. SFS aid us enormously in sourcing staff for those challenging areas and late availability bookings. The sheer variety of search categories lets you target specific pools of suitable candidates with quickness and ease – an absolute godsend when the clock is ticking! At BCB we love SFS more with every passing year! Louise China, Recruitment & Training Manager for BCB"
"SFS has exceeded my expectations in every way. Having worked in staffing for over 8 years I had reservations about using a central provider, but can honestly say that I have been missing a trick for far too long. As a recruitment tool, SFS has been invaluable. We post adverts for on-going tactical campaigns regularly & are always pleased with the speed & quality of the responses. SFS is great for reaching niggly areas where everyone struggles to find staff, let along quality ones! The ratings section is excellent as, although not conclusive, it gives the best indication currently available of how reliable staff are when they are new to you. "StuckForStaff.co.uk has been a major asset to the success and smooth running of Bounce Promotions. With the help of the ratings system, I have been able to build a reliable large database of staff throughout the UK and even found staff for a last minute promotion in a location hard to staff ! StuckForStaff takes all your worries away with the knowledge you have staff back up 24- 7! The majority of our campaigns are technology based roles; we post Job Alerts every week and the staff that respond all appear to have a clear understanding and interest in the line of work we offer. We only use SFS alongside our own database and find the service an invaluable and great tool in which we use on a day to day basis. SFS has certainly made my life a lot easier, especially during our busy periods. We are very impressed with SFS. We use it to back up our own database as it’s great to check out staff availability and the ratings give us peace of mind on which staff to book for jobs. The ease of posting job alerts is perfect and the new iPhone app is extremely handy. I love the fact I can text straight to staff numbers and enjoy using the app, when working away from the office. The team are extremely helpful and informative. Thank you. "The SFS tender service is one of my tools for getting new leads. It's sporadic, but I like the fact that you never know what's coming through! Sometimes it's a one-man-band needing an exhibition host, other times it's an international brand with a major roadshow campaign and ongoing events. We've got some good clients out of it and I'm always excited to see "Tender Alers: New Business" in my email"
We are very pleased with the excellent SFS service; we have recently won new clients and added to our already strong and excellent database of staff. We have been extremely pleased with the most recent adverts posted on job alerts of the high calibre of staff that have joined us through SFS. "We post between 7-10 job alerts a week. The work we advertise varies from demonstration roles that require 200+ staff, to high profile campaigns that may only require several staff. I am confident that we successfully fill 95% of our campaigns when using the job alerts; they really help when we need bulk staff in a short period of time in hard-to-find areas." "Our database consists of over 2,500 staff but we still use SFS on a day-to-day basis. The last minute availability feature is great and accurate, saving us so much time and resource, especially at weekends when on call. SFS is the only additional service we use and I can honestly say I don’t know what Sense would do without it!" "I certainly feel the central ratings system on SFS has improved staff performance within the industry. I would never book a staff member before viewing their national ratings and full profile. By following these simple, quick procedures, I’ve noticed that we’ve had less drop-outs and no shows when carrying out nationwide campaigns. It’s helpful to see which staff have strikes from other agencies and just as great to be able to reward staff who excel in a specific campaign." 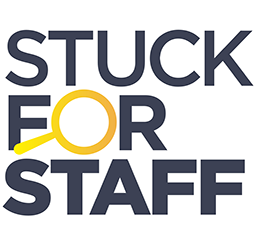 "I felt I must write to express my thanks to StuckForStaff's job advert management system. I was finding difficult staffing an Ambre Solaire Campaign around the UK. The criteria was high, and I was very impressed with the calibre of personnel who contacted me, hence we had a very successful campaign. Thank you once again, I highly recommend your services." "We were struggling to find actors to dress up in costume for a road show event running over the summer. We placed an advert with StuckForStaff detailing the dates and locations we had work available. The response was excellent and we filled all the vacant dates within 24 hours. In total we received over 60 email responses. Thanks!" "After sending a job alert out with SFS within two hours we'd received over 200 email responses from experienced staff." "StuckForStaff is an excellent facility and the tender service has opened up a wider range of promotional opportunities for us. We have been successful in winning various tenders around the UK and this has had a very positive impact on our business and promotional staff. SFS has been instrumental in the growth and success of our business and any feedback I have offered to them has always been gratefully received and acted upon. Thank you!" "Excellent, 99% of staff from StuckForStaff.com were of a high calibre. I was very impressed at how good they were." "I was totally delighted with StuckForStaff.com. After just one hour Instore had already recruited a dozen people we definitely wanted to use. A great calibre of people." "The calibre of staff is of an extremely high standard, and in terms of new personnel recruited it is a great success. Headcount Worldwide Field Marketing Ltd would recommend StuckForStaff.com to both staff and promotional companies." "We were really impressed with the event and the level it was organised. We look forward to working with SFS in the future." "We have found some excellent staff." "The majority of applicants were excellent - just what we were looking for!" "The service you provide is second to none, invaluable even – and your enthusiasm and genuine interest has been maintained; you filled a notable gap." "I can say that it is a fast, efficient and effective way of recruiting staff and have had great success. I will use it again in the future if we ever get 'stuck for staff' again." "We were struggling to fill gaps the day before a very big job for us as a company; in fact, it was the largest job we had ever done. The response we got from the StuckForStaff job alert was phenomenal - what a fantastic service. Needless to say there were no gaps on the day. What a life saver!"